What kinds of things does Maisy see when she goes outside? Turn to the tab with a soccer ball on it to find the park, with swings and a skateboard. The tab with a chicken on it takes you to Maisy’s favorite farm, with a horse, a sheep, and more. There’s so much to explore on the beach and in the sea, on sunny days and rainy ones, on trains and in fire engines and all sorts of things that go. 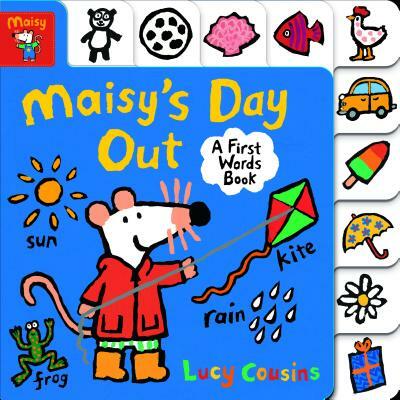 Naming everyday things is always more fun with Maisy leading the way!